Happy Tuesday! 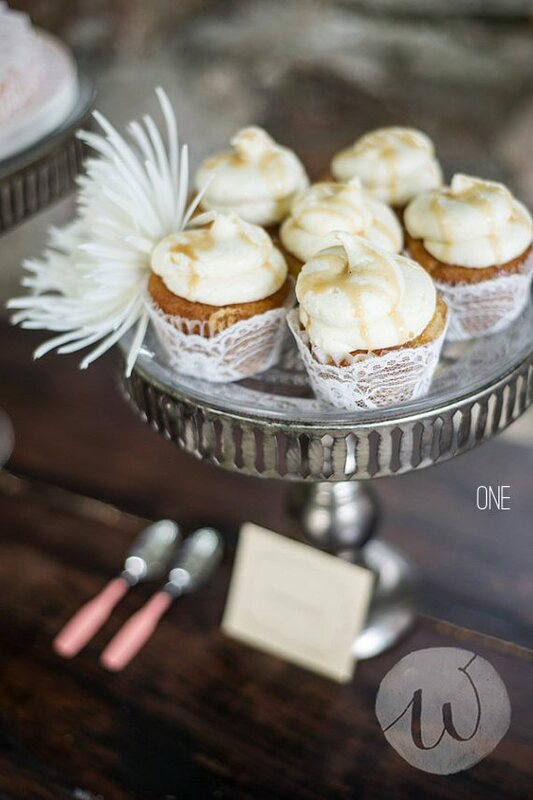 If you’ve been craving cupcakes as I have this week, you’ll appreciate this round-up of wedding cupcake wrappers sans those pesky cals. Cupcake towers are a popular choice for brides who want to ditch the traditional tiered idea – or, who want to incorporate a little added sugar to their dessert table… and dressing ’em up is half the fun! 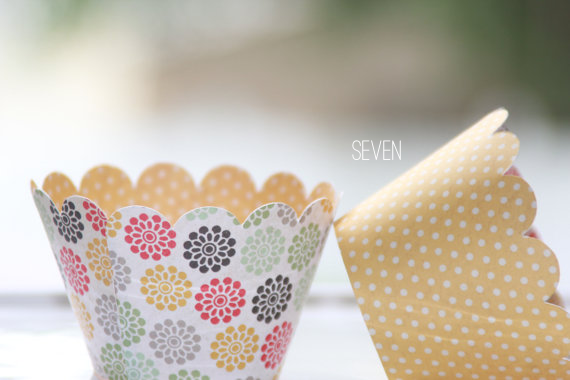 Today we’re sharing ten hand-picked wedding cupcake wrappers to inspire your cupcake creations. Read on to see which wrappers made the list… then go out and get yourself a cupcake pronto. I know I will! Enjoy! 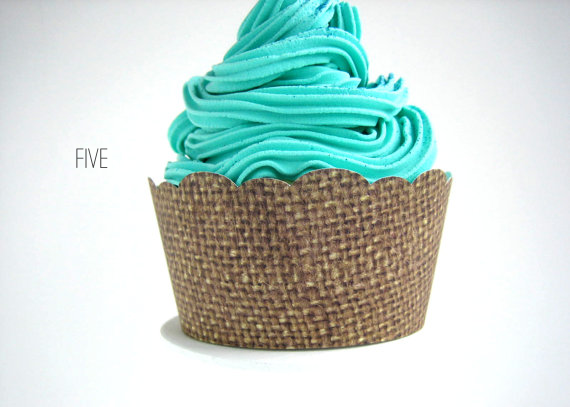 Made with real lace, these cupcake wrappers will make a dramatic addition to your decor! By Bailey Mama 5. 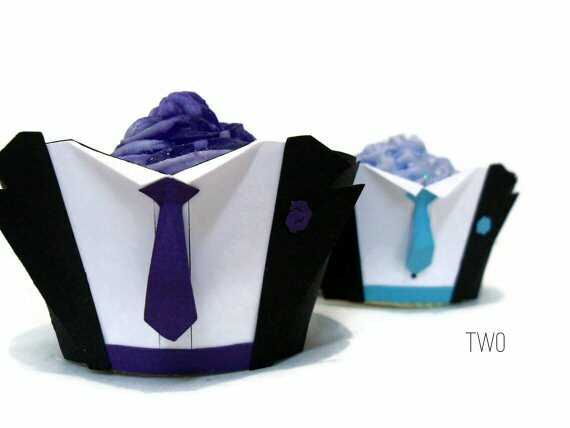 Dress up your cakes in suits and ties, like this collection spotted at Cake a Doodle Doo. 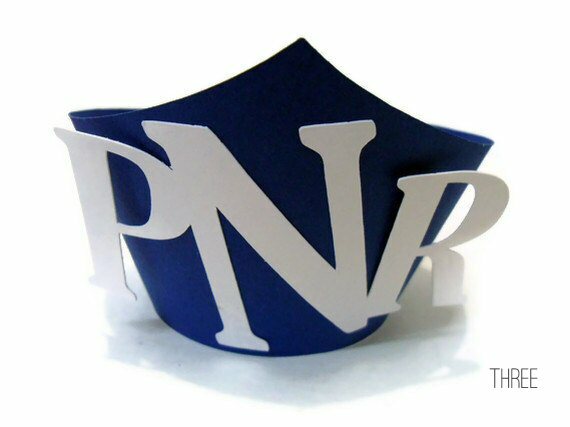 Add a personalized twist with these monogram cupcake wrappers spotted at Cake a Doodle Doo. 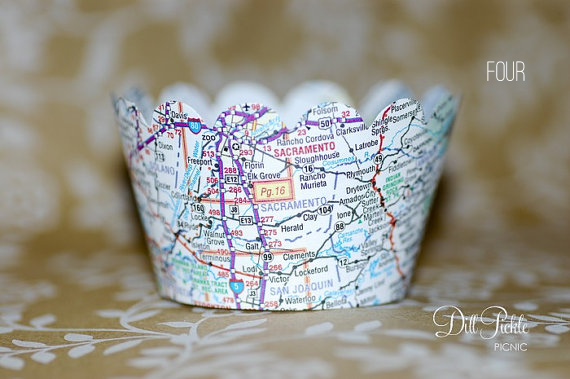 If you and your honey are from different areas on the map, these wrappers are a unique idea! By Dill Pickle Picnic. Burlap-loving brides will appreciate this paper wrapper that looks like the real deal! No scratchy surface – just easy-to-fold wrappers here! By Bright So Slight. 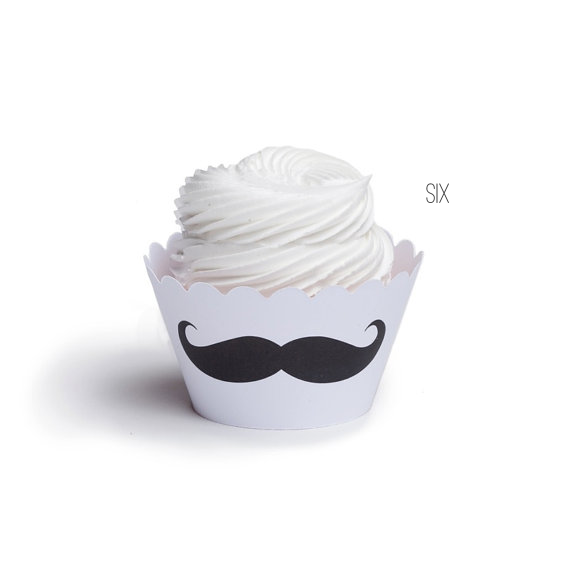 It wouldn’t be right to skip over fun, quirky cupcake wrappers, like these mustached ones spotted at Faire Une Fete. Mustache decor is always a crowd pleaser! Can’t decide? Opt for a design with two sides like this floral and polka dot combination. Thanks, 2 Birds Paper Designs! 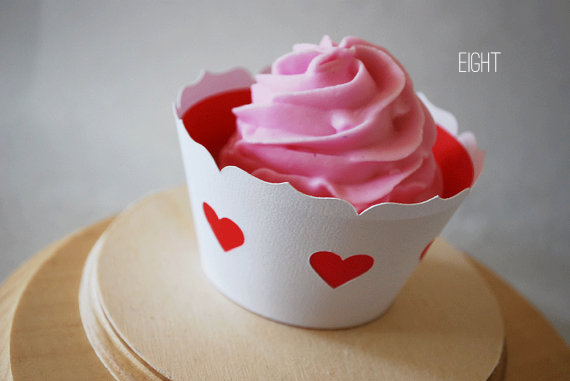 If you’re planning a wedding a la ‘Wonderland’, look no further than these queen of hearts cupcake wrappers by Your Little Cupcake! 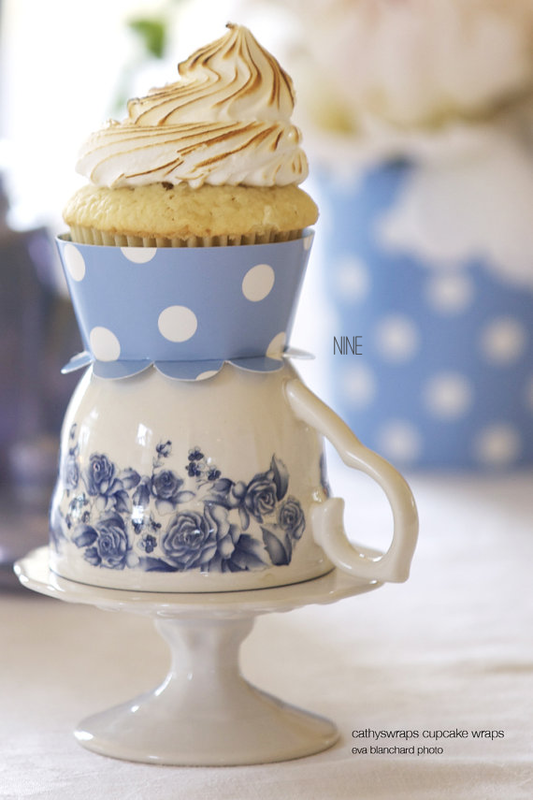 For a unique twist, offer guests cupcake wrappers with bright blue and white polka dots and a flowery edging. By Cathy’s Wraps. 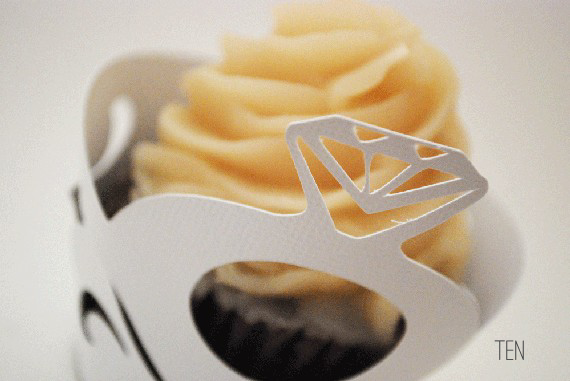 And, last but certainly not least, these wedding ring cupcake wrappers take the cake! Serve ’em up at your engagement party, bridal shower, or at the wedding itself. By Your Little Cupcake. Thank you again so much for featuring our Lace wrappers! We were so blessed! love all of these, especially the Alice in Wonderland Queen of Hearts Cupcake Wrappers! I love your selection of top ten cupcake picks! It’ll be hard to choose just one, they’re all delightful. Thanks so much Emma. I can’t thank you enough for giving me the honor of including my cupcake wrappers among all the beautiful items. Thank you so much for including my wrappers. It is a honor to be featured among so many other beautiful products. I love the lace ones, they are just so super pretty and sweet! !